Not recommend to use in your live site, this version is for testing and discovery purpose. And it will change a lot in the stable version. Please read JA K2 Filter for K2 version doc carefully before you proceed. The powerful Filter extension for K2 comes with a lot of features to help you build the filters system. K2 Filter provide you the best ways to build a filter system with extra fields. Once you have k2 articles with extra fields defined and added to the articles, the extension allows your user to filter articles based on the extra fields. 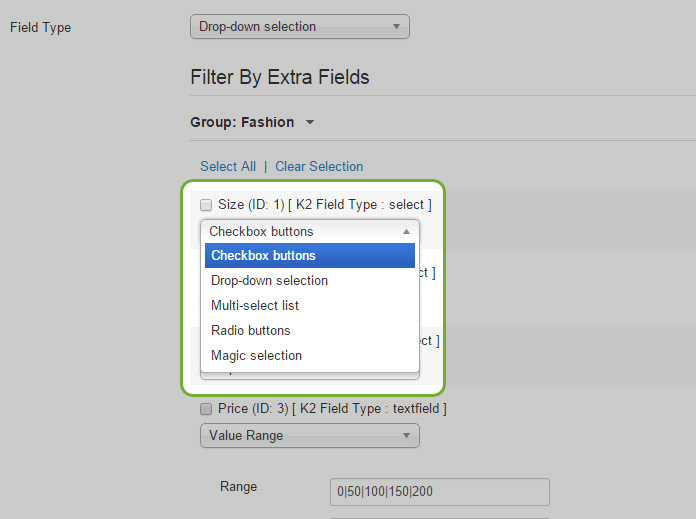 There are many options for an extra field display, you can configure by assigning filtering type for the extra field in K2 Filter module setting panel: Range Slider, Magic selection, Drop-down selection, Multi select list, Radio buttons or Checkbox buttons. 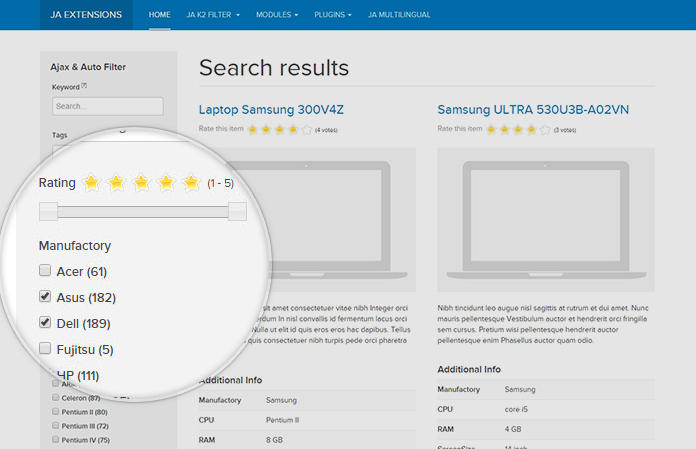 The Autocomplete search function provides suggestions when user type into search field. The feature is applied for text extra field. 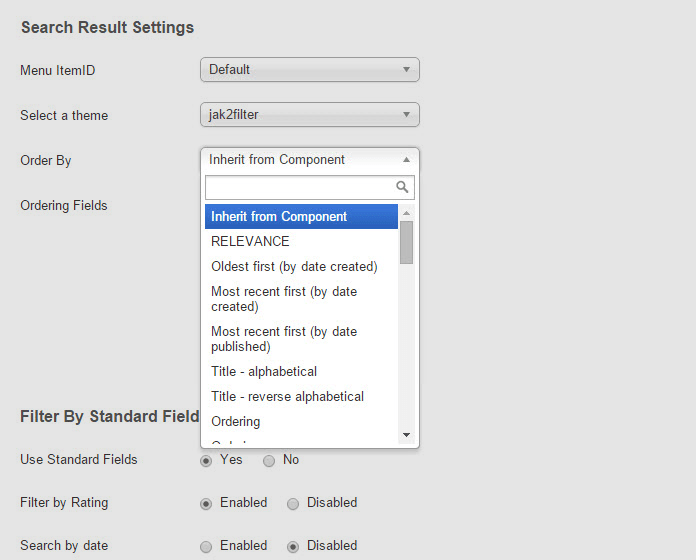 When enabled, the result will be auto narrowed due to your filtering values without clicking on Filter|Search button. 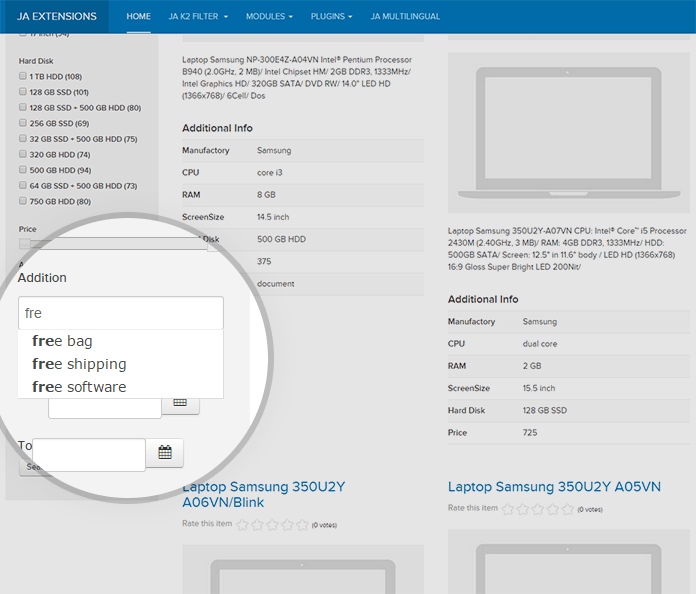 In Search result page, you can configure number of items to be displayed and set ordering for items by: Relevance, Oldest first, Most recent first, Highest rated, etc. 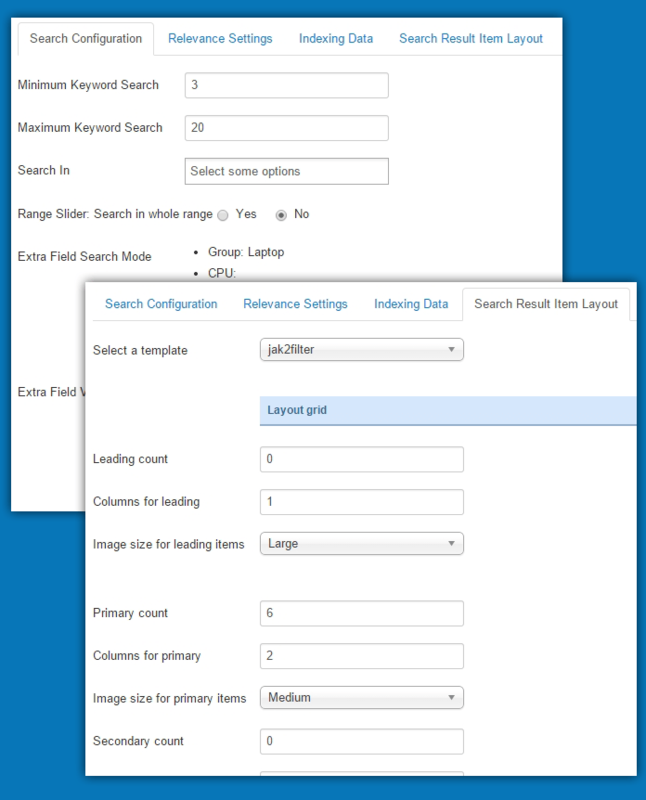 You can also sort search results by extra fields. 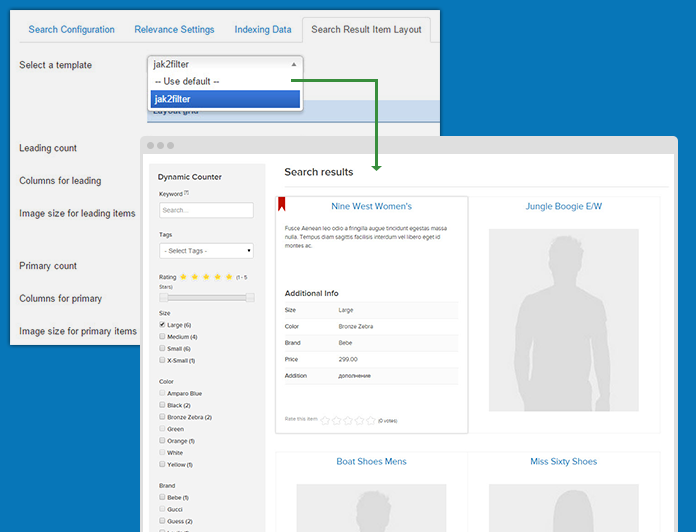 Select the sorting types you want and in the module front-page, the sorting types will be available for user to sort items in the result page. 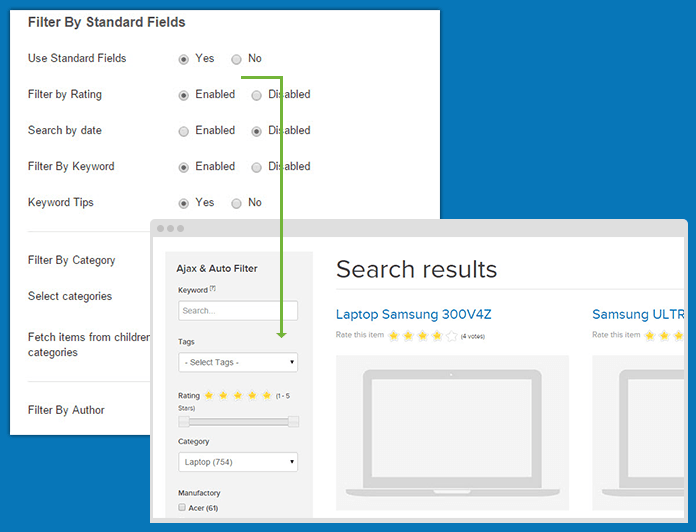 When the option is enabled, counter of each value from filtering fields will be updated based on what users selected. 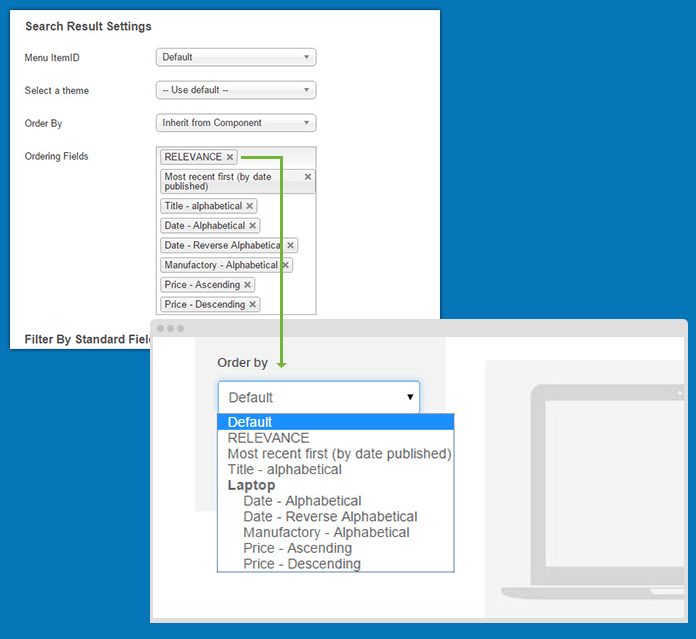 Besides the extra fields filtering, the module supports a lot of "Standard Fields" to filter K2 articles such as: Filter by keyword, by categories, by tags, by rating, by date, by author, etc. JA K2 Filter module supports 2 displaying modes: Vertical or Horizontal, you can change between the 2 modes with just one click. 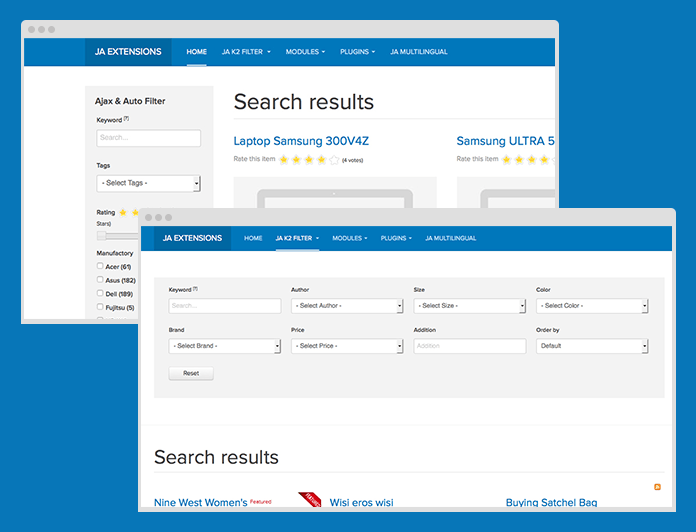 One theme by default, and an additional theme that you can add to JA K2 Filter module used in your site. 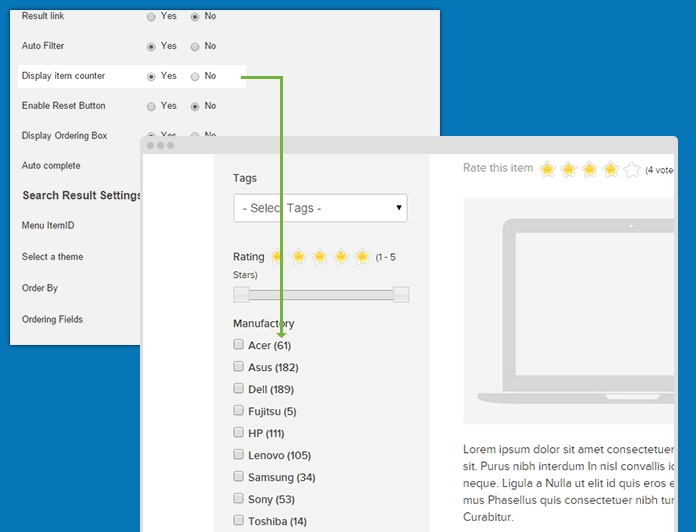 Moreover, you can create your own custom theme for the module. 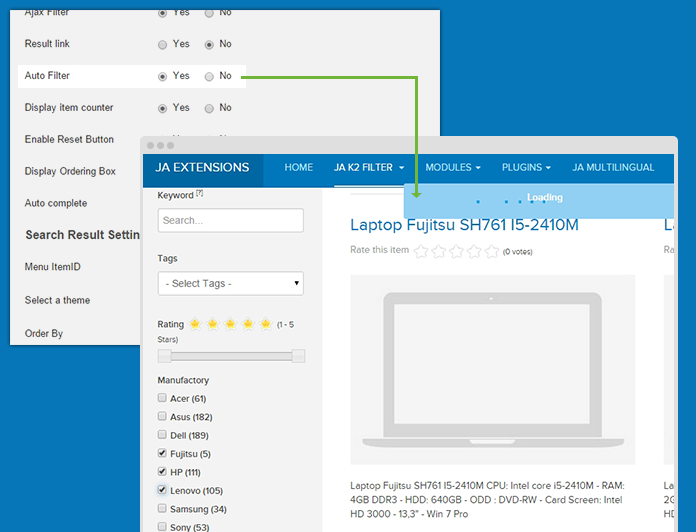 The rich-featured extension comes with powerful and intuitive admin panel with all core features built-in that make the module configuration easy, you don't even know coding. That's for the preview of JA K2 Filter version 3. 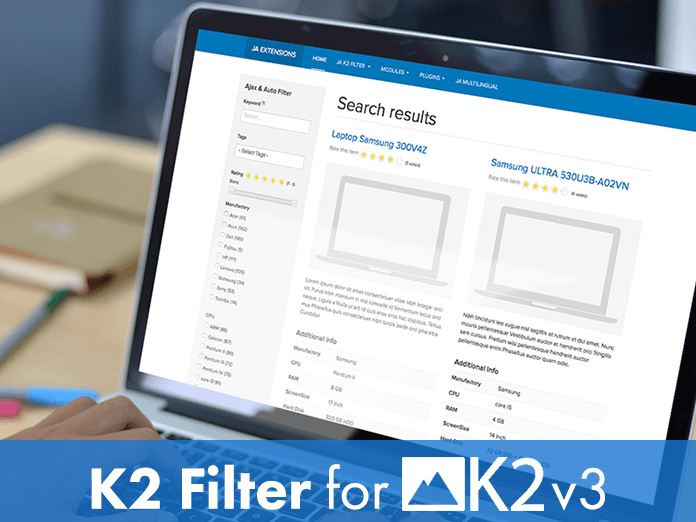 If you have any suggestion for the development of K2 Filter, please let us know in the comments. We'd love to hear from you! And remember to test run JA K2 Filter version 3 in dev mod, please don't use it with your live site. This is the PREVIEW version, and it should be used for testing and learning purpose. Now let's download and have some fun! Found this article interesting? Subscribe to our newsletter for more useful info!